How's The Accuracy Of The New MAS90 – MAS200 CT Payroll Tax Tables? 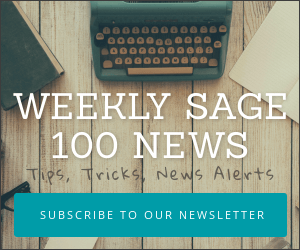 You are here: Home / Sage 100 ERP / mas200 / How’s The Accuracy Of The New MAS90 – MAS200 CT Payroll Tax Tables? How’s The Accuracy Of The New MAS90 – MAS200 CT Payroll Tax Tables? I have completed about half a dozen MAS90 payroll upgrades for clients with Connecticut employees. So far I’ve received feedback that the computations need to be manually reviewed and in some cases adjusted (be sure to read the instruction sheet that I left because Sage indicates that with the update you may not longer simply add an additional amount to CT withholding but instead should force the ENTIRE computed CT withholding). If you need this, here is a link to the tax table update as well as the important instructions on configuring CT tax withholding. Please let me know how you are finding the computation of CT tax and if you’re encountering any issues.